With over years experience in the hotel industry! All 40 rooms include en-suite bathrooms and air conditioning mention with satellite T. V., daily cleaning of your room with fresh sheets we also offer free use of our washing machine facilities, internet access, and a continental breakfast each morning. We can also arrange transfer from the airport, bus or train station straight to the hotel. Visa services are also available. Although travellers from everywhere are welcome and easily accommodated, we are currently the only hotel to offer a separate floor for women, who are travelling alone. Groups are also more than welcome. A money exchange, mini markets, small restaurants with student discounts can also be found in our hotel. For those who are wishing to travel to other parts, we can organise the travel arrangements such as: - Cairo, Aswan, Hurghada, Western Desert and Sharam El Sheik. We also can arrange guides in your language to take you to the sights, in groups large or small. Other Facilities include: - Roof garden- Free use of hotel washing machines 4. 00p. m. to 5. 30p. m. - En-suite bathrooms, air conditioning, - Hotel safe. 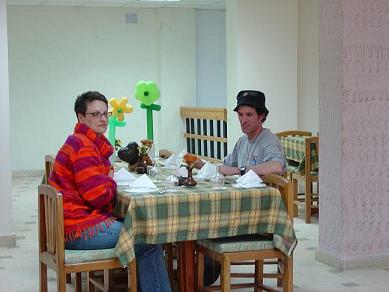 As always your comfort and enjoyment is our first priority. We hope you enjoy your vacation to the fullest Located in the center, five minutes walk from down town and station . 10 K. M from airport. 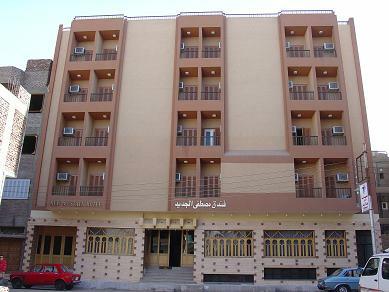 The hotel boasts 40 rooms with private bathroom, satellite T. V, Air conditioning and Telephone. LOCATED IN THE HEART OF THE CITY .